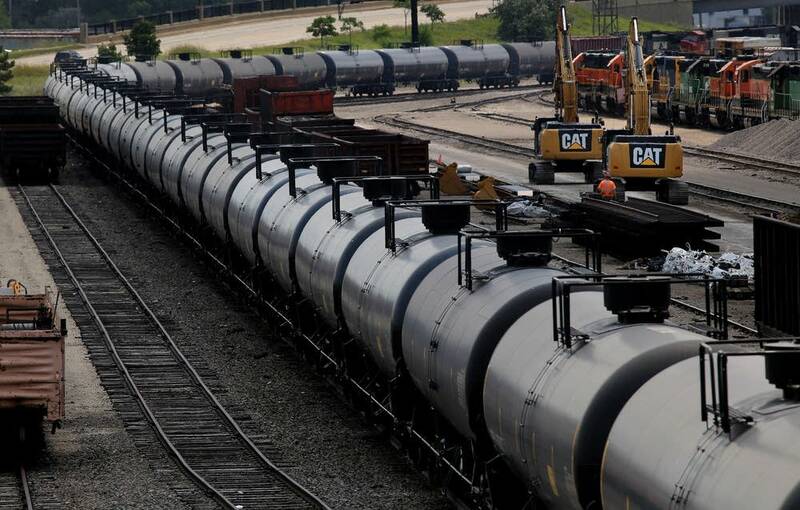 Some 300,000 Minnesotans live within a half mile of railroad tracks that carry crude oil. But almost none of them have been able to see emergency plans the railroads were required to submit by July 1. So far, only authorized local emergency officials have been allowed to review the plans that five railroads submitted to the Minnesota Pollution Control Agency. Even legislators who passed the requirement can't get access due to data privacy objections raised by the railroads. Some say that makes it impossible to judge the adequacy of the plans. The law requires railroads to show who would respond to an emergency, how they would respond and what kind of training they received. The prevention and response plans must also include location-specific descriptions of the worst-case discharge scenarios. Some rail executives say making the entire plans public would reveal sensitive security information and expose the rail lines to sabotage. "We want the emergency responders to know this information, obviously. But to put it out in the public domain is like giving terrorists a road map on how to do something bad," said Mark Wegner, president of the Twin Cities & Western Railroad. Wegner said he would only be agreeable to the release of a heavily redacted version of the plan. The MPCA late last week released the redacted plans of the Burlington Northern Santa Fe and Canadian National railroads. Discussions about making the plans public are continuing with the railroads, said MPCA Communications Director Dave Verhasselt. "We have different requests from different railroads for what data is public, what data is non-public," Verhasselt said. "Our legal advisers are speaking to their legal advisers and literally going through hundreds of pages of documents, determining what we can agree on is public versus non-public." Despite the intention to hold back the plans from the public, in response to a data practices request MPR News recently received the unredacted plans submitted by Canadian National, Canadian Pacific and Union Pacific. Those plans identified bridges over the St. Louis, Mississippi, and St. Croix Rivers as the locations of hypothetical "worst case scenarios." The worst cases were deleted from the public versions of the BNSF and CN plans. BNSF spokesperson Amy McBeth said in a written statement that the company's plan "contains security sensitive, business confidential and personal employee information." 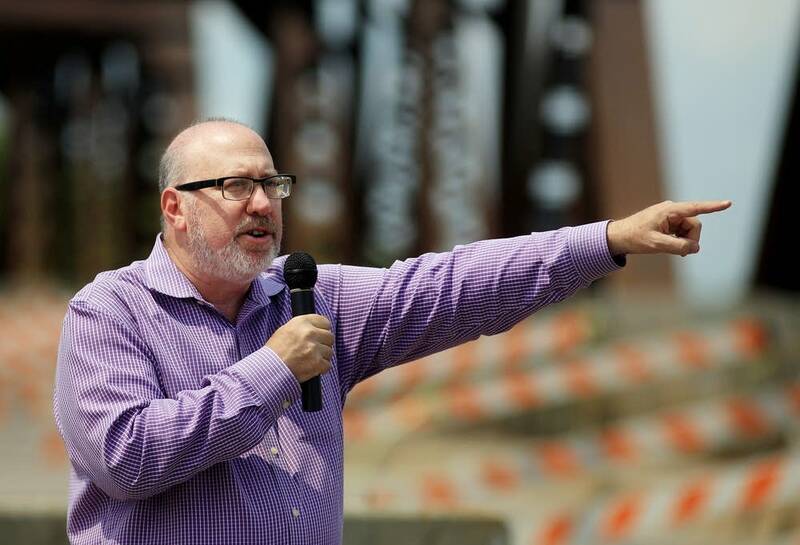 State Rep. Frank Hornstein, DFL-Minneapolis, says he wants the reports more widely accessible. "The whole purpose of doing a law that we passed in 2014 was to make sure that this kind of information was updated to address the growing concerns that people have about oil and ethanol trains in their communities and the safety issues, but to make that information available to the public," said Hornstein, the legislation's chief sponsor. Hornstein said he was able to briefly view the plans last month at the MPCA but hasn't been allowed to see them since. The plans, at that time, looked incomplete and inconsistent with areas that did not appear to be following the format and the intention of the law as we passed it," he added. Judson Freed, Ramsey County's director of emergency management and homeland security, said he was allowed to review all five railroad plans through a secure state website. He was not allowed to print copies to share with his staff. Still, Freed said the information was helpful. "It's far from a perfect thing. But at least I've been able to read the plans now," he said. "We can validate that our Ramsey County high hazard flammable train plan is in line with what the railroads are doing." Hornstein says he'll continue to press the railroads and MPCA for release of all the plans. Railroad safety advocates are also pushing for that access. 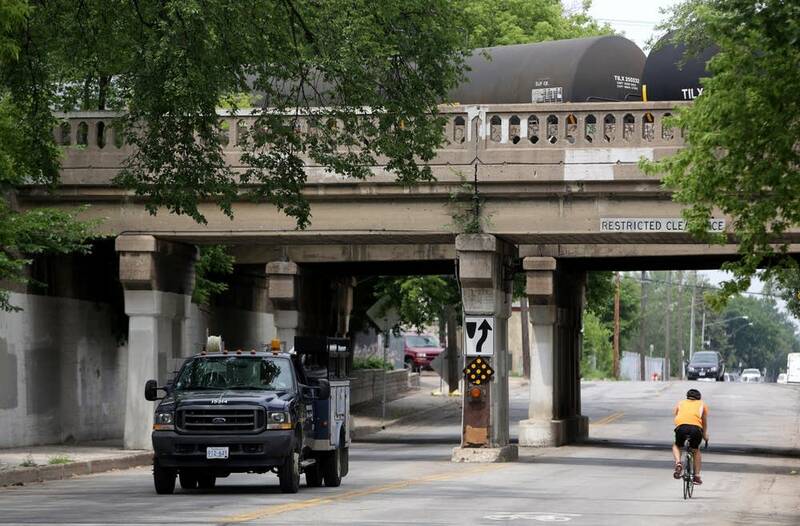 People who live and work near train tracks need proof that the railroads are prepared, said Cathy Velasquez Eberhart, a spokesperson for the group Citizens Acting for Rail Safety. "These are really dangerous materials moving through," she said. "It's really hard to be ready because they are so dangerous."